We are avid family travelers that adore finding the best things to do in Georgia (along with the rest of the Southern U.S.) but we prefer the road less traveled. 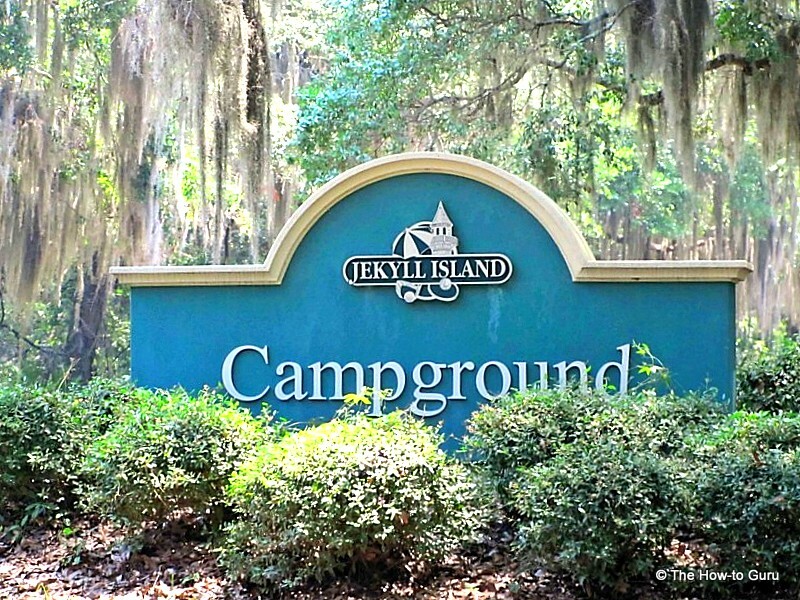 Jekyll Island Campground is a wonderful idea for family-friendly fun whether you are RVing or tent camping. Overpriced, touristy vacations certainly exist when parents want to indulge their kids now and then with theme parks and such. We are no different but most of our family travel time is spent finding those off-the-beaten-path destinations in the South that are less populated and full of natural beauty. Besides the fact that this is the destination of mine and Superman’s Jekyll Island Love Story, we have fallen in love with its historical and mysterious charms. 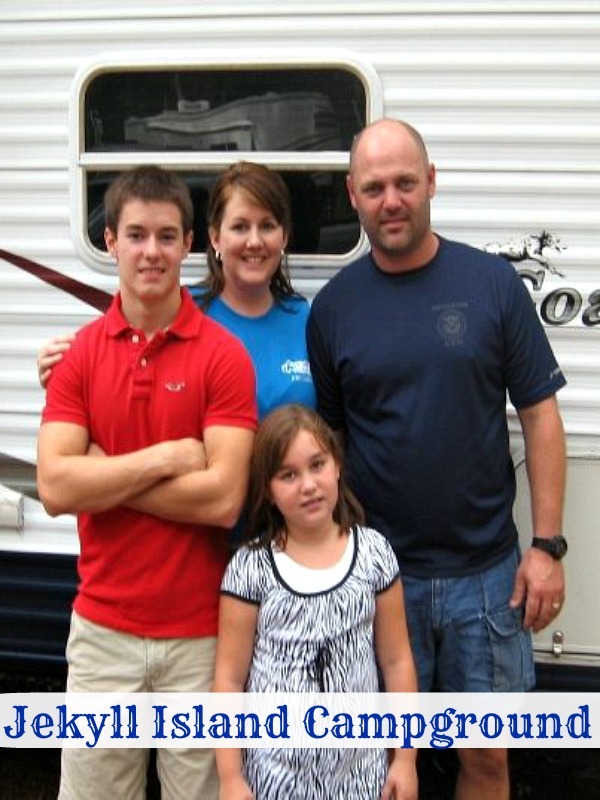 We decided when the kids were small that we wanted to be a camping family after realizing that we’d both enjoyed it as a part of our childhoods. 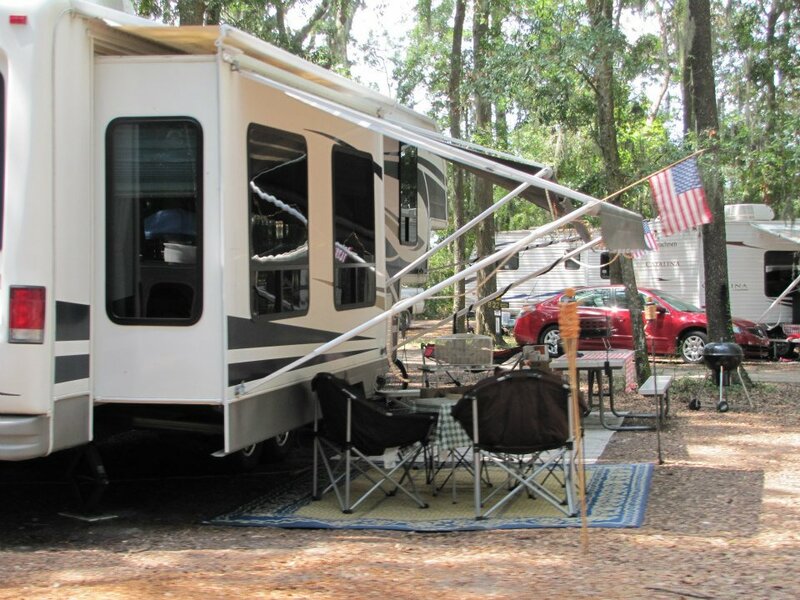 Next thing you know in 2005, we’d bought a pop-up camper and we were off to Jekyll Island Campground for the weekend. 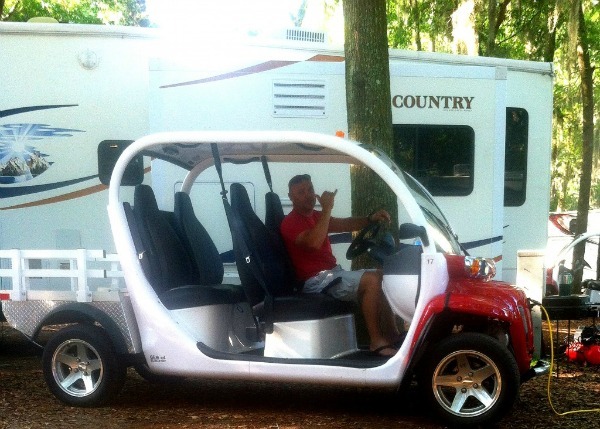 Our next camping trip was at Disney’s Camp Wilderness and the rest is history. We’ve found ourselves gravitating the most to Jekyll Island because of its laid back family-friendly vibes. 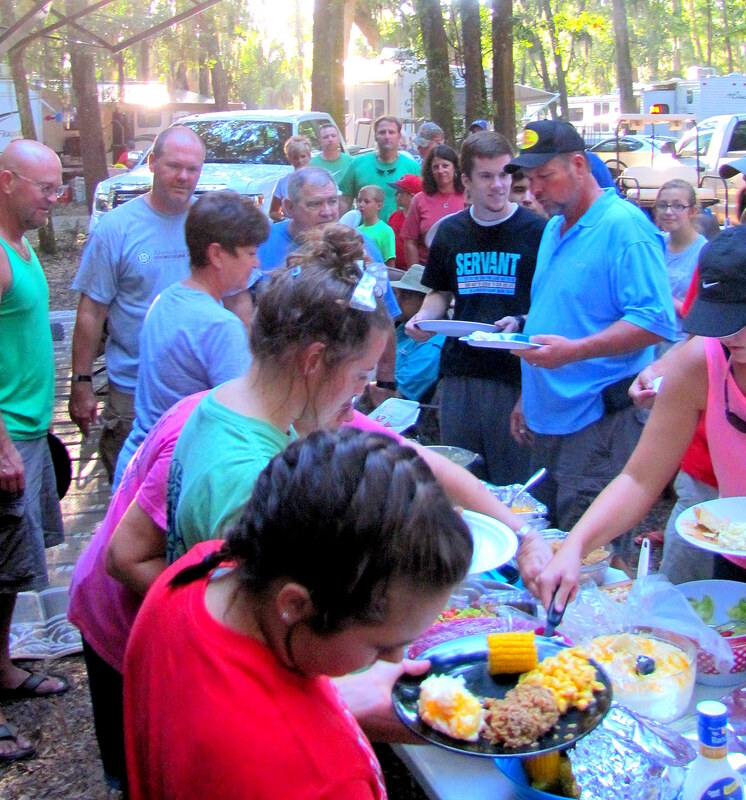 Somewhere around eight or nine years ago, about twenty families congregated at the Jekyll Island Campground for Labor Day weekend. It’s such a blast. It also proves again that the legend is definitely true. You haven’t heard about the legend? Once your feet touch the sands of Jekyll Island, you will always return. We arrived for this year’s annual Labor Day trip on Friday afternoon to set up camp. After visiting with friends, we searched out the best seafood restaurant we could find. This year we had low country boil and crab legs on the brain so we headed to See jay’s Waterfront Cafe. Saturday and Sunday we rode bikes, jogged, worshiped at Jekyll Baptist Church, ate dinner together, and watched some college football. Friday and Saturday night were full of late night golf cart rides and trips to the island’s Dairy Queen (the only fast food restaurant). Grab a tent and come on, as they have primitive sites as well. Just bring your potato salad with ya when you join us for dinner. 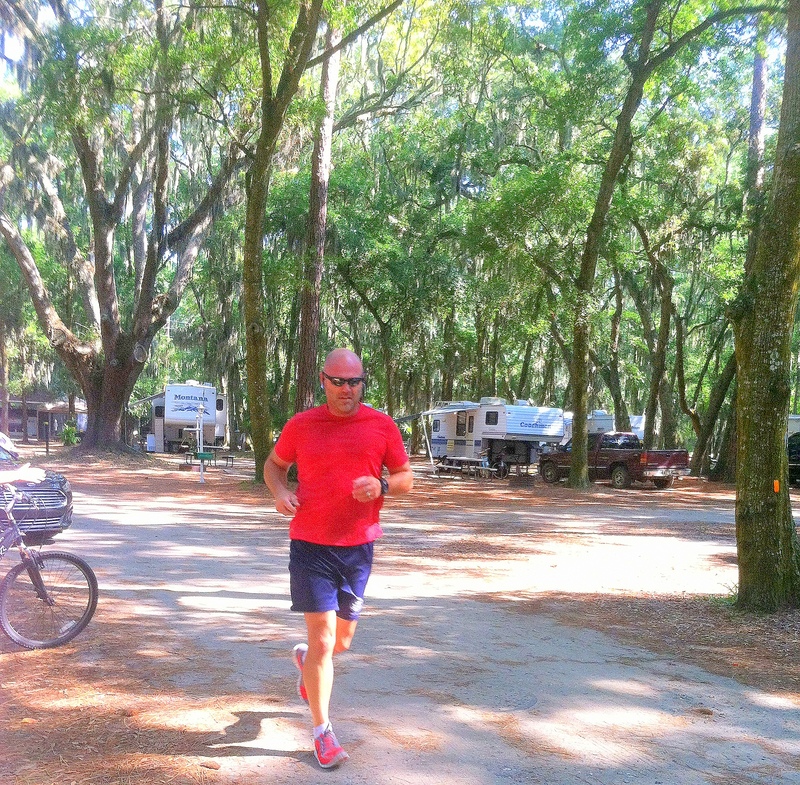 My top ten list doesn’t even begin to uncover all the family adventures to be found on Jekyll Island Georgia. Trust me, I know. We can’t stay away, remember? Make just one visit and you’ll see … you will always return too. 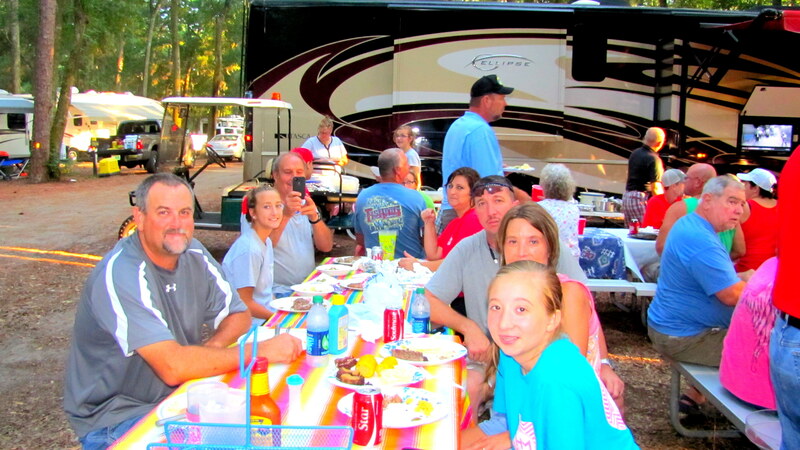 Contact the Jekyll Island Campground at (912) 635-3021 to start your next family camping adventure. Darlin, you nailed it. Also, I believe those twenty or so families are all “MY FAMILY”. Even the Boatright Gang. I love every one of them and truly am blessed to count them as friends.. Thank you for your insight. Also, better keep a close eye on the “how to guru,” he looks suspicious. Thank you! Thanks for being so sweet and posting. Love y’all. 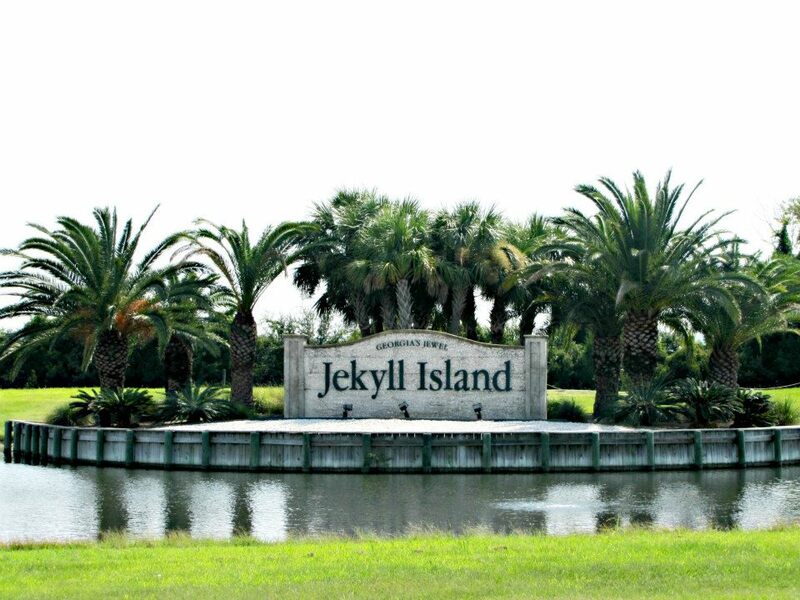 Jekyll Island is my favorite place to go! We have a pop up and love heading to the Island for some R&R. We take our big boy Lab who loves the beach. He will play fetch in the ocean for hours. Then we head to Seejay’s where he lays under the table on the patio while we eat our dinner. Yep, Jekyll is the place to be! Thanks for posting Kelly and yes, Jekyll is always the place to be. I could be there every week and be perfectly happy and would love it to be there permanently. Blessings to you. whoah this blog is great i love reading your posts. Keep up the good work! You know, many people are looking around for this info, you could aid them greatly. 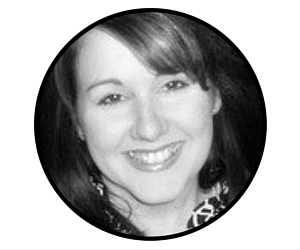 hello there and thank you for your information – Well I’m adding this RSS to my email and can look out for a lot more of your respective intriguing content. Make sure you update this again soon.. Thank you so much and welcome. Pingback: Jekyll Island Georgia Love Story - What Happened Next? !